For the first time in history, The Abacos has received 300,000 visitors, the second highest number of visitors, after Nassau, in 2017, according to Minister of Agriculture and Marine Resources, Michael Pintard, who spoke on behalf of the Minister of Tourism and Aviation, Dionisio D’Aguilar. The Ministry of Tourism’s new marketing strategy showcases individual island destinations in The Bahamas’ major markets, across all mediums, including print, television, radio and social media. Under the theme of the Business Outlook,“Creating a World Class Abaco,” Pintard challenged Abaconians to examine their key assets and find ways to break into niche markets. Tours/excursions, family-oriented attractions, history/cultural tours/art tours and a wider focus on sports are ways in which Abaconians could take their tourism product to the next level. 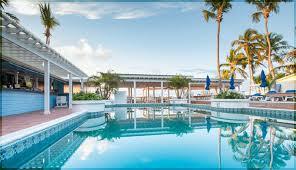 “The Ministry of Tourism is committed to providing the marketing support that Abaco needs to become world class. The Ministry will continue to organise familiarization trips for media and social influencers to come down to Abaco to explore the island’s diverse tourism offerings and to tell the rich stories of Abaco that will create a buzz in the tourism marketplace. The Ministry of Tourism will seek out elite international brands to collaborate with to bring exposure to Abaco,” he said.